There’s a whole category of books that could be placed in the genre “wandering around Paris.” Here, our selection of four titles currently in stock at Idlewild that fit into the genre but go beyond expectations–for the flaneur or flaneuse in you. 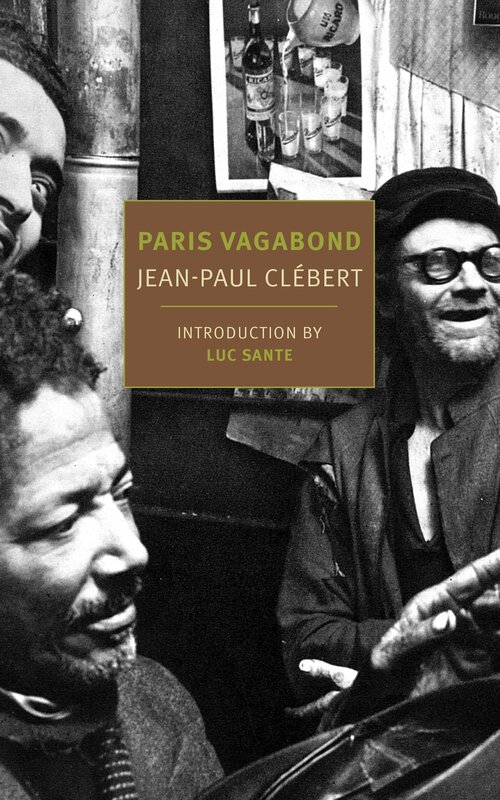 PARIS VAGABOND, Jean-Paul Clébert — A lost classic and the inspiration for this list, Clébert’s book is drawn from his own diary of life on the streets of Paris, a vagabond by choice. Originally published in 1952, Clébert does for Paris what William S. Bourroughs and Allen Ginsberg did for the Village. Hallucinatory, celebratory, an artifact of a chancey, wild Paris that has been largely replaced by tourism and luxury. THE THIEF’S JOURNAL, Jean Genet — Jean Genet’s memoir also tells the story of a life far outside the realm of polite society in Paris. He is a pickpocket, a prostitute, a wanderer, anything but a good bourgeois as he travels across Paris and across Europe. An interesting window into the mores of homosexuality in 1930s Europe as well as an exploration of the meaning of liberty. YOUR SECOND LIFE BEGINS WHEN YOU REALIZE YOU ONLY HAVE ONE, Raphaëlle Giordano — A bestseller in France and at Idlewild, the protagonist of this this light-hearted novel is a middle-class Parisienne who is nothing if not a good bourgeoise. However, like Emma Bovary, she is having something of an early midlife crisis as she confronts a comfortable but dull and empty life. In the midst of a storm, she stumbles across a mysterious stranger, Claude, who offers to help her turn her whole perspective on living around. GOOD MORNING, MIDNIGHT, Jean Rhys — One of my personal favorites, this novel answers the question “What if A Moveable Feast was written by a woman who didn’t get famous, just drunk?” An Englishwoman with no permanent home, not unlike Jean Rhys herself, spends this book wandering Paris looking for enough money, love, and alcohol to get through a few tragic weeks. Heartbreaking and intensely engaging, this is the kind of novel that you will read in one sitting but that will stay with you forever.